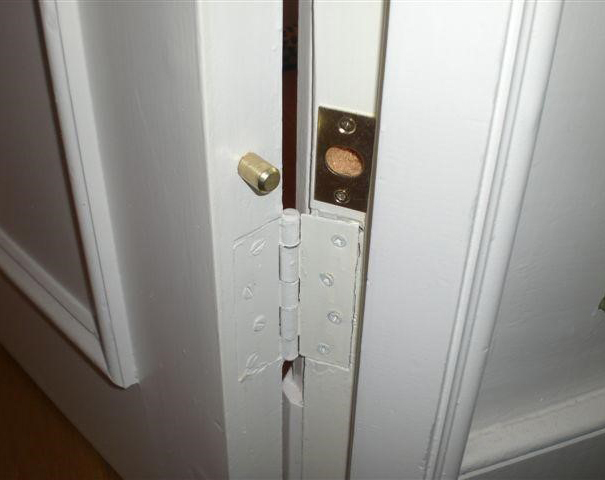 Outward opening doors are at risk of hinge attack, allowing burglars to simply lift the door off it's hinges. 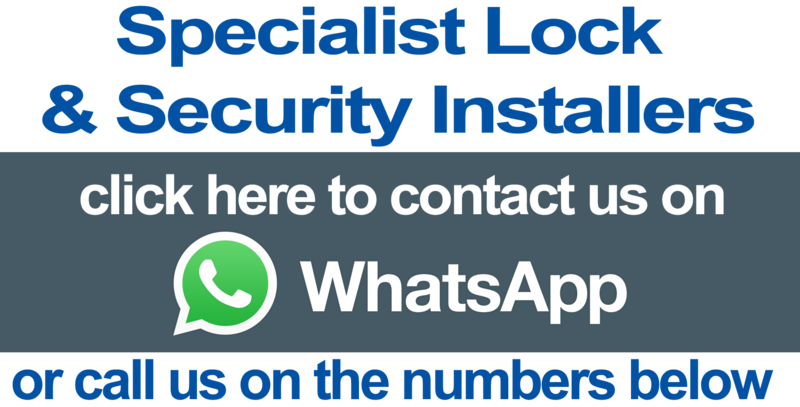 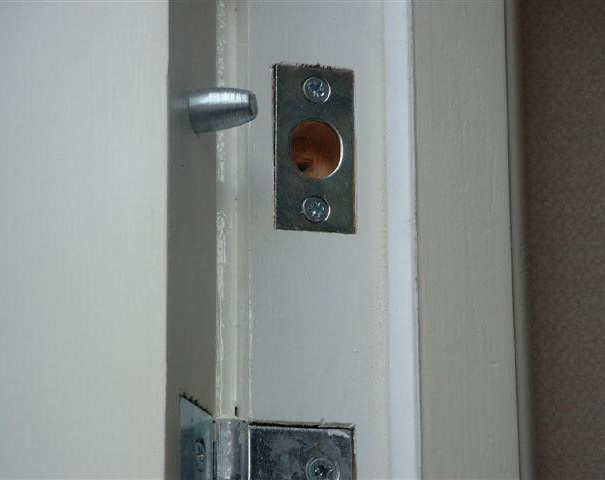 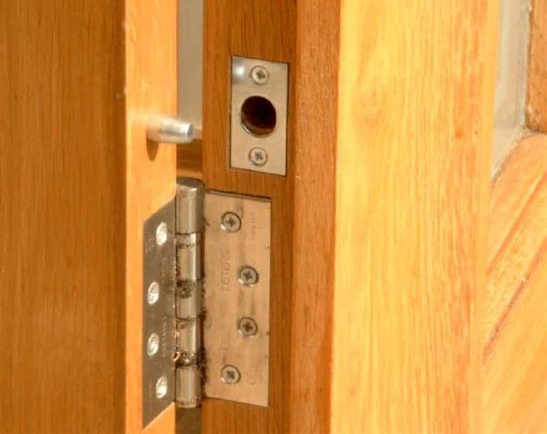 As such hinge bolts are essential on any outward opening doors, as they will still secure the the door even if the hinges are cut, crowbarred or otherwise forcibly removed. 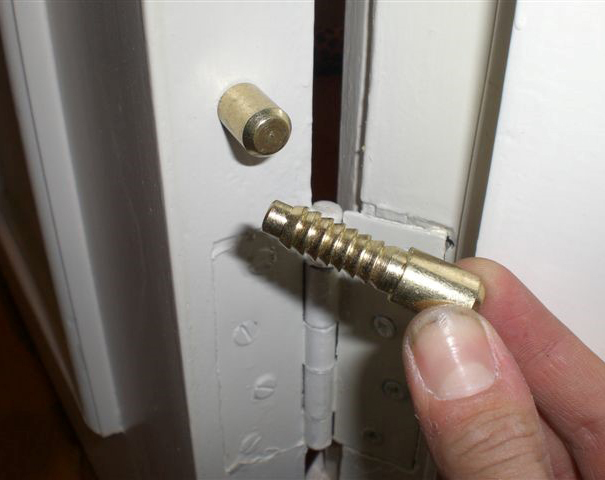 Hinge bolts, also known as hinge protectors and hinge reinforcement bolts, are designed to increase the security of your door, to make the vulnerable hinge side of the door as tough as the lock side, on both outward and inward opening doors. 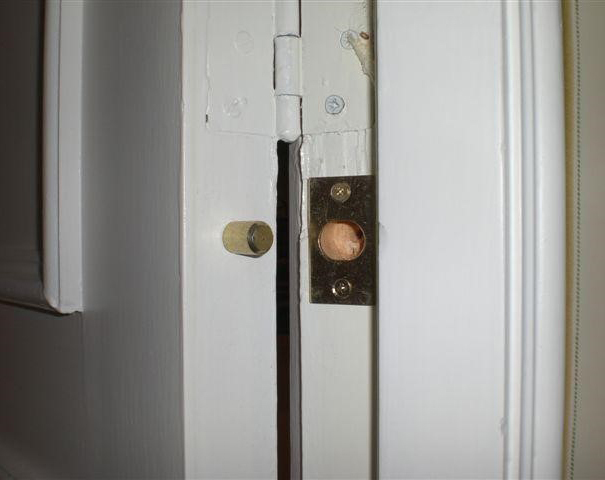 Our experienced london locksmiths have recently fitted these hinge bolts in Drayton Green W13 and Eltham SE9.